After a whole year of waiting, the 2009 Aussie Millions is back once again. Melbournes Crown Casino is the place to be this January. Big names from Australia have already begun to make their mark on this years championships. The overseas pro’s are making their way down under, waiting til closer to the big one, the main event. 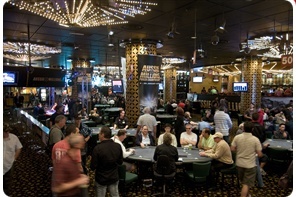 The first event started with a bang, with 731 players registering for the $1,100 No-limit holdem and vying for the $150,000 AUD first place prize money.